Complete your look with one of our Signature aprons or pouches. Stylish and functional, and available in any color, with trim, embroidery and pocket details of your choice. 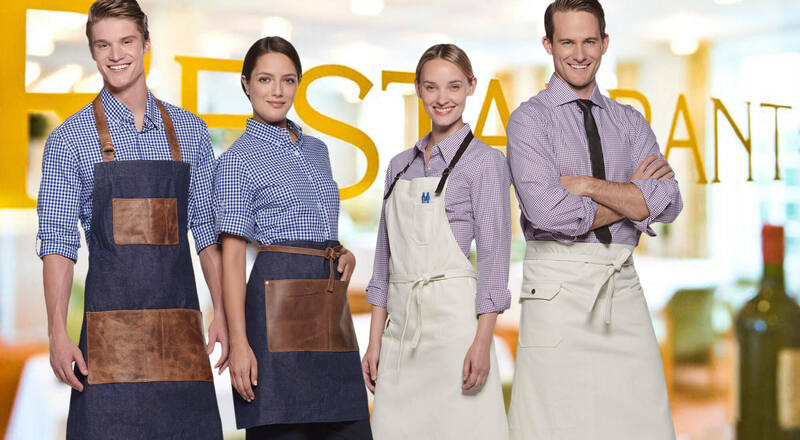 Our custom server and wait staff aprons are designed to add a finishing touch to any look. Keep it simple, or create a statement piece, adding function and style with attention to detail that your guests are sure to notice.